Wool is a valuable, must-have resource for readers working from fleeces sheared from their own flocks or those spinning indie dyed fibers! 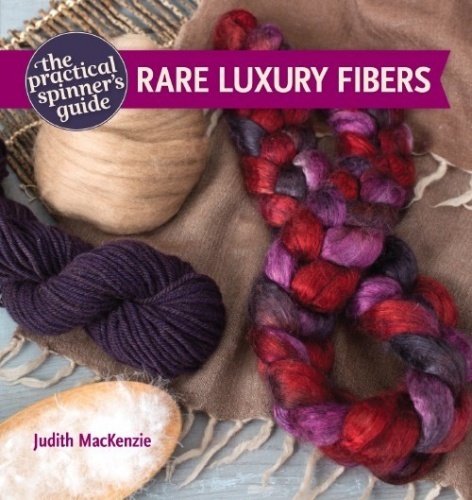 For centuries, fiber artists have been using wool at their spinning wheels to create beautiful yarns. Despite this fiber’s long history of use, spinners still have many unanswered questions about it. How does one choose a fleece when at a fibre festival? What’s the best way to wash and prep wool fibers for spinning? When should one send fibers to a mill vs. processing it by hand? What’s available to the spinner purchasing prepared fibers? For the answers to these questions, and so many others, fiber artist and shepherdess Kate Larson presents The Practical Spinner’s Guide: Wool. Kate is a well-loved contributor and respected instructor in the spinning community. Selecting fleece, understanding types of fleeces, and making the best use of the fleece one has is an art form. There are various and often conflicting approaches to nearly every aspect of the journey a fleece will make from sheep to finished textile.